Featuring free WiFi throughout the property, Ashwood Apartments - Lindisfarne is situated in Hobart, 4.4 km from Theatre Royal. Hobart Cruise Terminal is 5 km from the property. Free private parking is available on site. Each of the self-contained apartments offers a fully equipped kitchen, a seating area and a dining setting. 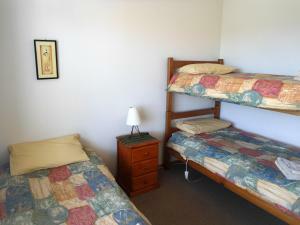 Hobart Convention And Entertainment Centre is 6 km from Ashwood Apartments - Lindisfarne. Hobart International Airport is 12 km away. Important Information: Roll-away beds are available. You can request a roll-away bed in the Special Requests Box at the time of booking. Please note that beds are not guaranteed and will be confirmed upon arrival, subject to availability.